On Thursday 24th January, the touring theatre company, Cornelius Jones performed for our children. 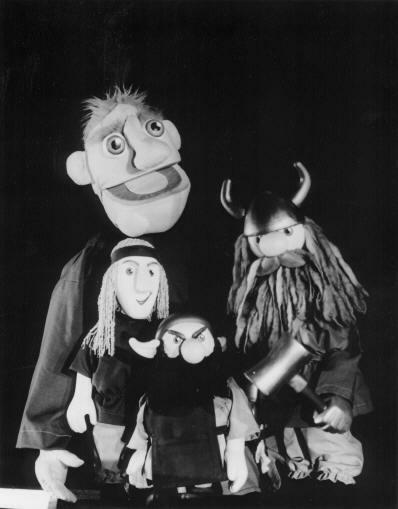 After the whole school performance of Thor, the Giant Killer, the Year 3 children enjoyed puppet workshops. Thor is a humorous dramatisation of two Viking myths featuring the thunder god Thor and his companion Loki the mischief maker. In the first escapade Thor wakes up to find that his precious giant-slaying hammer has been stolen by the giant King of Jotenheim. The king will only return the hammer on the condition that the goddess Freya becomes his wife! Dressed as Freya, Thor jubilantly outwits and defeats the giant King. In the second adventure, Thor decides to take a break from giant-slaying and sets out on a hazardous fishing trip to Jotenheim in search of the World Serpent.